Territory Rights: USA and Dependencies and the Philippines. For this new edition of selected key passages from Darwin's nine most important books, Mark Ridley has added several elements. A new preface focuses on how Darwin's revolutionary writings can be best understood by modern readers, especially college students. 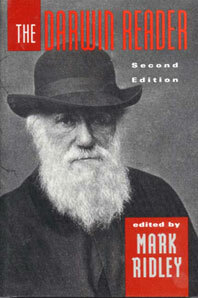 The introduction and notes for each selection have also been revised, based on the latest Darwin scholarship. Finally, the bibliography has been updated, substantially expanded, and annotated to provide students with helpful hints on where to look for more information on Darwin as well as on modern interpretations of evolution.